It can’t be denied that vinyl siding is a popular siding material that has its own unique benefits. Woodbridge Home Exteriors shares these advantages. For many homeowners, the most attractive benefit of vinyl siding is its low-maintenance qualities. Compared to most siding materials, it only needs a good wash with a garden hose every year or so, with no chemicals or special equipment needed. It also doesn’t require repainting, as the colors are molded in. Some may argue that vinyl siding colors look cheap and obviously made of plastic. But not all vinyl siding companies offer the same products. Quality vinyl siding can mimic virtually any other siding material. After all, this is the same material that’s used in manufacturing records that require microscopic grooves. Compared to this, wood grain and other textures are far less difficult to emulate. Vinyl siding strikes a good balance between cost, quality and life span, which is another feature that’s attractive to homeowners. In addition to the more affordable upfront cost, it also has a lower lifetime cost. Consider the savings from not buying paint, brushes and other equipment for scraping and repainting, or the cost of having it professionally done. It is also on par with traditional material such as wood when it comes to durability, however wood needs frequent maintenance to avoid deterioration. Vinyl is produced through extrusion, meaning it can be made into just about any siding shape, style and color. In addition to traditional horizontal lap and vertical siding, you can also choose styles like board-and-batten, shakes and shingles, and even unusual ones like fish-scale siding. Colors are added during the manufacturing process, so you can mix and match styles and colors, and even features like enhanced insulation. 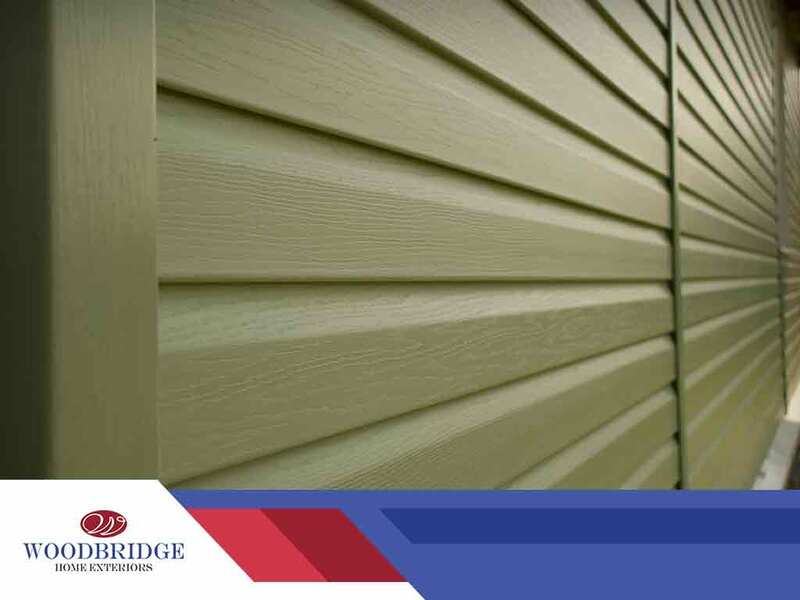 It lets you get the siding that your home precisely needs without compromising on features. To learn more about our siding replacement services, call Woodbridge Home Exteriors today at (972) 217-7585 (Texas), (405) 252-1548 (Oklahoma), or (316) 226-8011 (Kansas). You can also fill out our contact form to schedule an appointment. We serve many areas in and near Hutchinson and Topeka, KS.